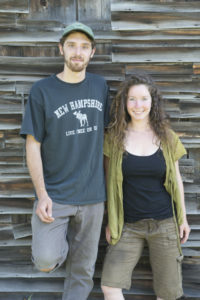 The story of our beginning farmer fellowship program begins with an abandoned plot of land – the old Garland Farm in Barnstead, NH – and inspiration from Land For Good. In my research to finance my own farm operations a couple of years prior, I stumbled across the wealth of resources in Land For Good’s online Toolbox. At that time, I was a farm seeker, but discovering their work with landowners and the Landowner Toolbox planted the seed of the idea for me to develop a grander plan as a landowner. Across the street from my own farm, the decrepit Garland Farm house seemed to stand aloof on top of the hill. It was alone and silent, without warm lights, footprints in the winter snow or evidence of anyone tending the summer gardens. During my many hours riding tractors, I would often consider the abandoned farm across the street. I daydreamed about what the farm once was, but also what it could be. I wished someone would return the farmhouse to its former glory, retake the fields, grow food, husband animals, and care for the forest. I had enough time in my tractor seat to mull this over. And over. What if someone took over the farm and gave young farmers a chance to get into farming without the risks or weight of the overhead? And, from there the idea for a non-profit community center started to take shape. One day I drove by, saw a “for sale” sign and my heart literally skipped a beat. The time had come for someone do just that! When I realized it was more likely that someone would buy the land for its development potential (I pictured a 24 home cul-de-sac), it dawned on me that I was the one who needed to step up and Willow Brook Farm & Art Center was born. Once we acquired the property, the first priority was to make the house habitable. The historic working farm had had fields, but most had grown into forest over the past few decades. I cleared 3 acres by mowing and we patch cut five acres of a new growth forest to reintroduce working fields to the farm. We subsequently did a timber stand improvement harvest to bring the remaining forest into a better management practice. 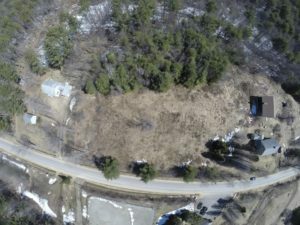 We have a head start in creating a permaculture homestead since the farm came with established raspberries, apple trees, currants, grapes, gooseberry bushes and a mammoth pear tree. Farming is a hard business both to get into and to manage successfully. I know from my own experience. It’s challenging for people to perceive and pursue a rewarding vocation in farming – especially young people who just starting out. But, it doesn’t have to be this way. Through our Beginning Farmer Fellowship, we seek to inspire, educate, incubate and launch the next generation of farm-based entrepreneurs. 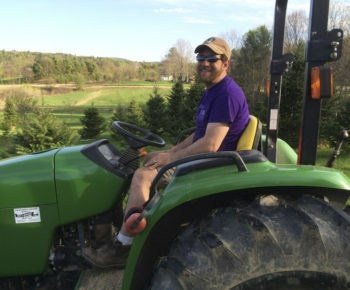 Over the course of a two-year Fellowship new farmers can learn about responsible farming, permaculture and the costs to air, water and health of chemical use. Fellows will also gain first-hand experience the benefits of organic growing, sustainable farming, and the vital role locally grown food plays in ensuring the long-term vitality of our communities. Our first two Beginning Farmer Fellows joined us in 2016 and have started a small goat dairy business. We’re now looking for another couple to join us for 2017-2019 to launch their farming career and help establish WBFAC as a fully self-sustaining permaculture property. Apply for the Fellowship here.